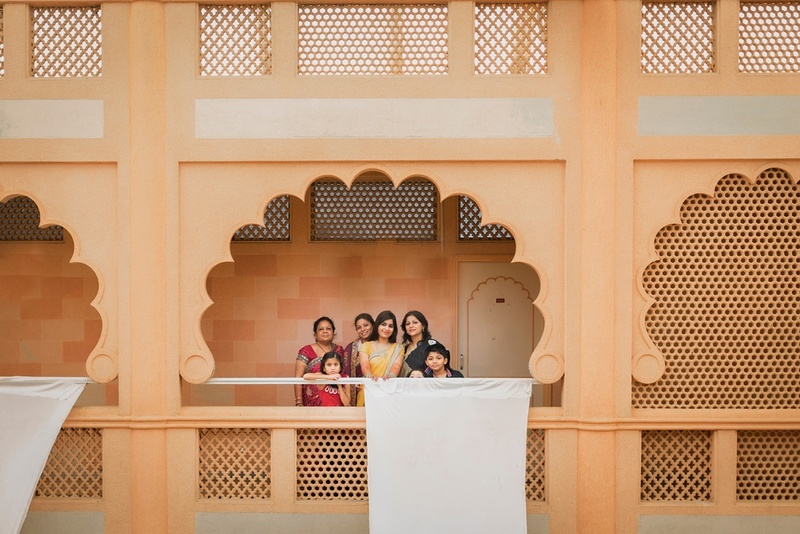 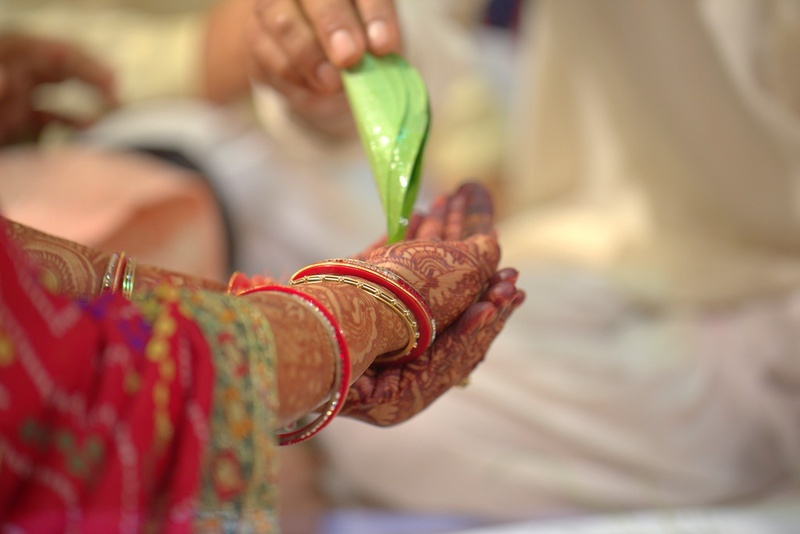 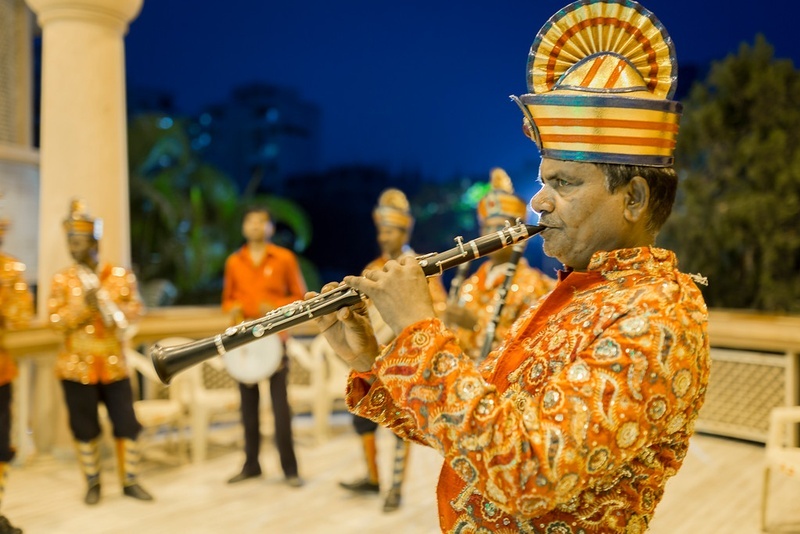 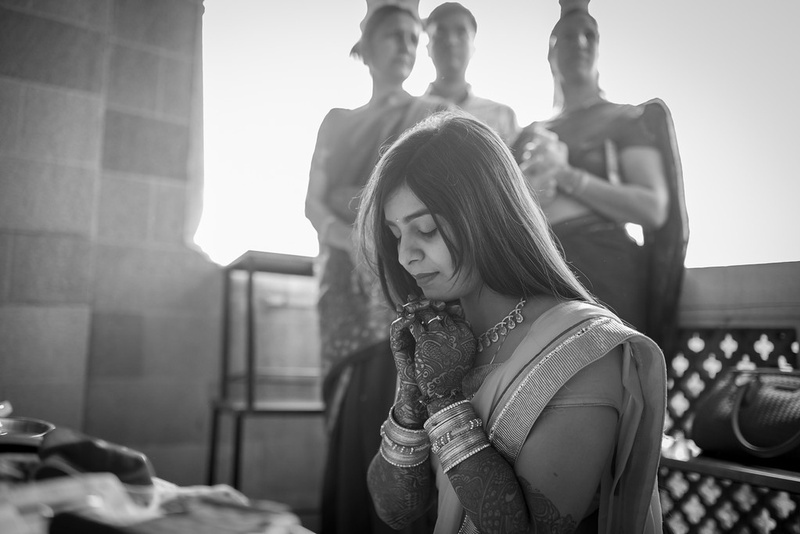 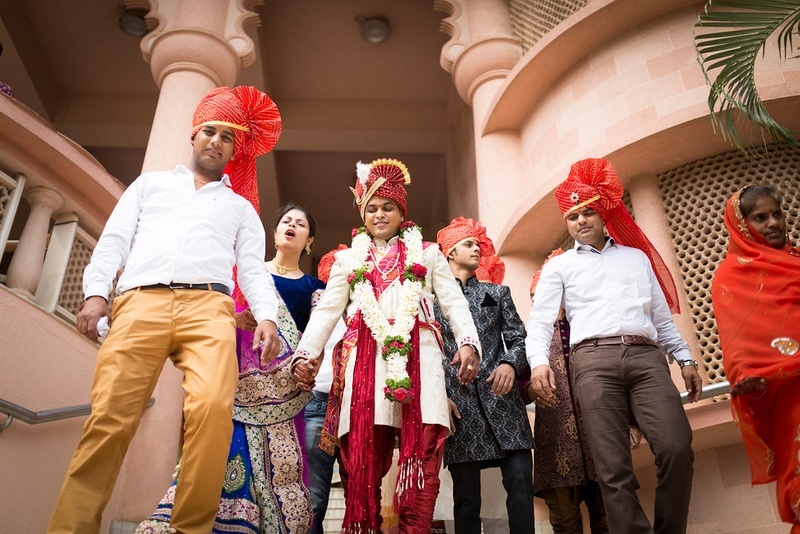 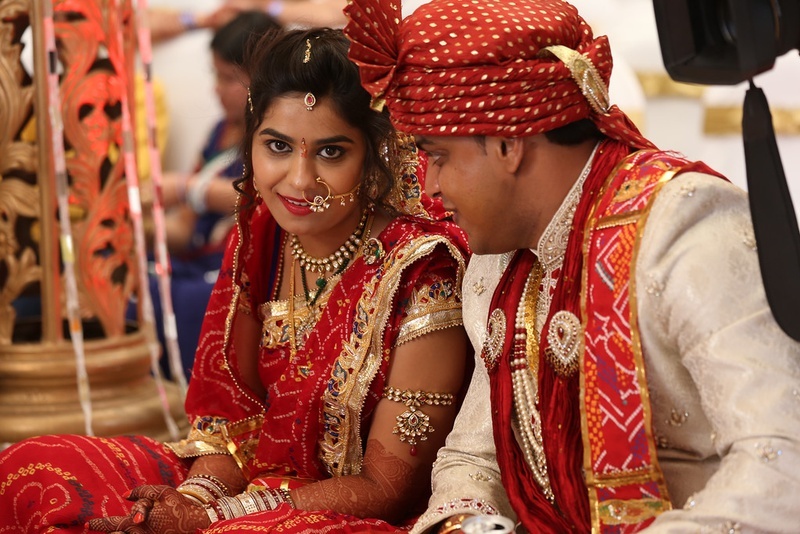 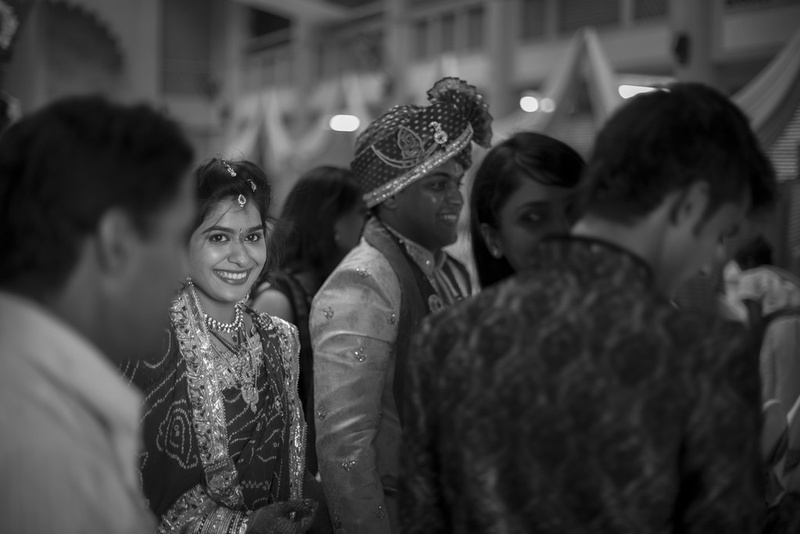 Anand and Shivani tied the knot in a Marwari wedding ceremony that was organized in a royal palace. 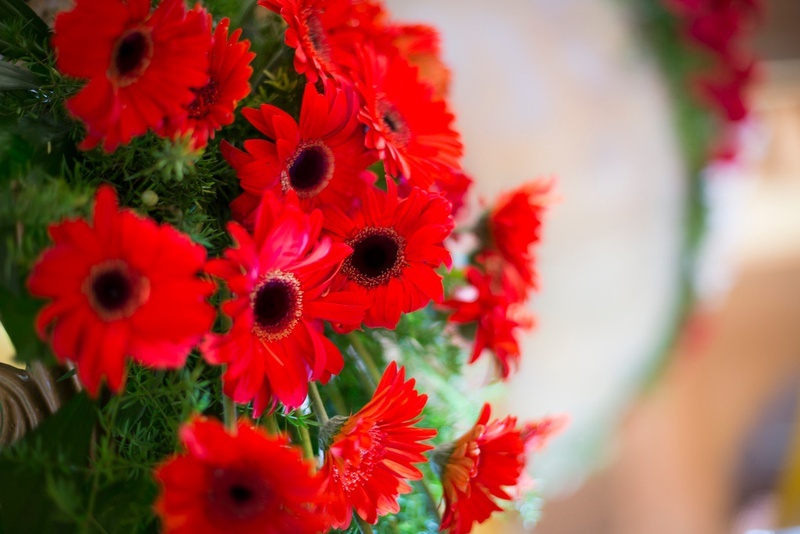 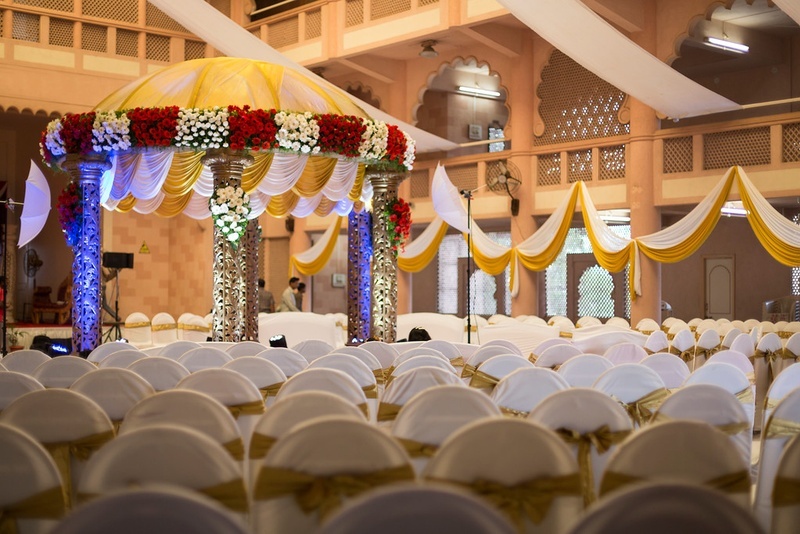 Their wedding venue is one that instantly captivates your attention. 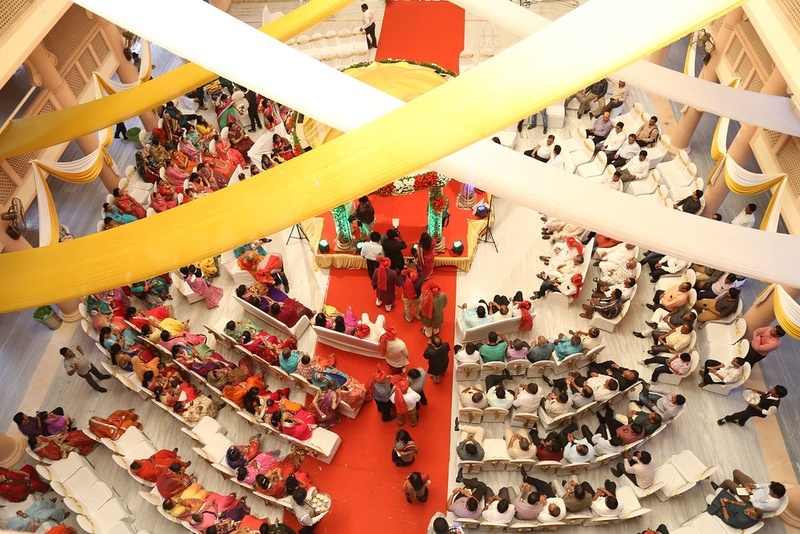 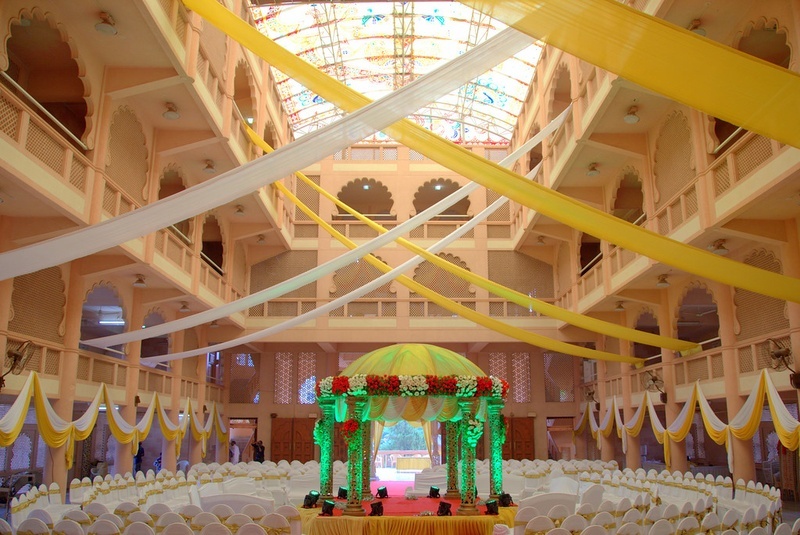 Right in the middle of the huge hall was the beautiful dome-shaped wedding mandap .Yellow and white drapes ran dramatically in various directions giving the entire event a classy feel. 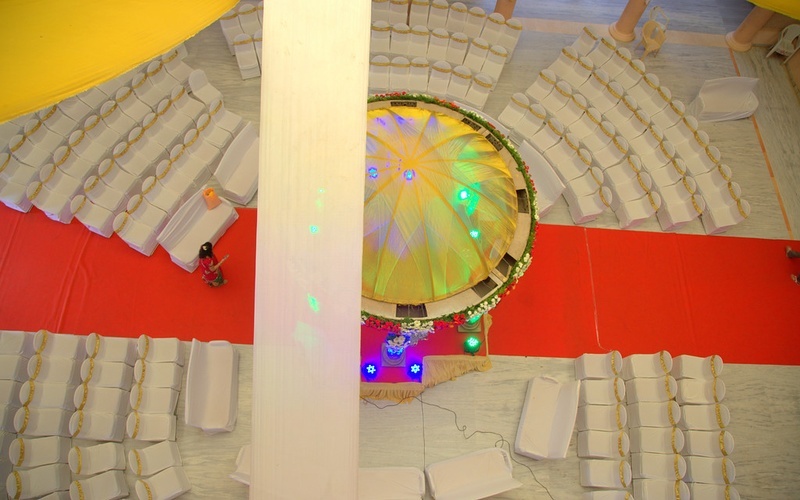 Furthermore, a round seating arrangement for the guests provided a perfect view of the creatively decorated mandap. 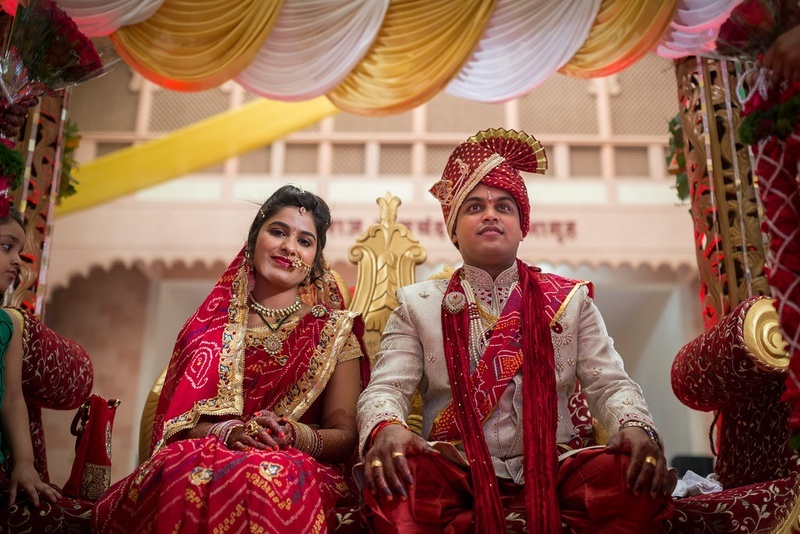 Wearing a pink traditional bandhani saree, Shivani wore less but attractive bridal jewellery. 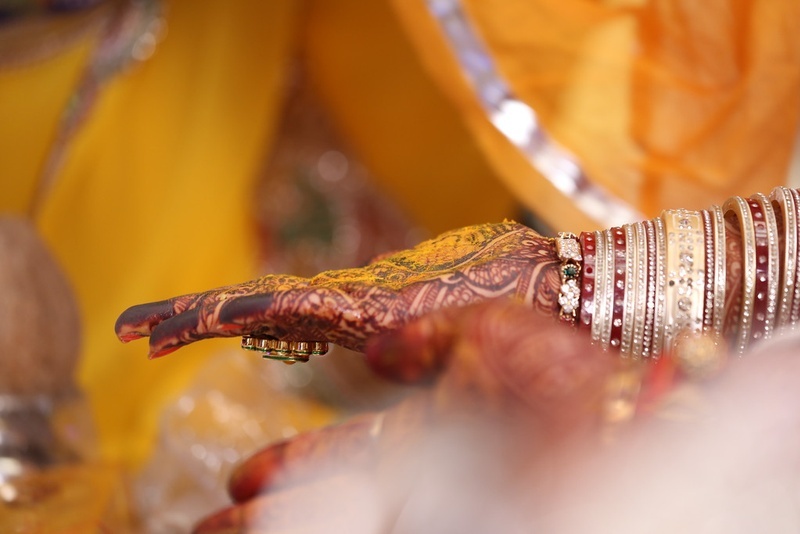 The delicate circular nath, her necklace and the armlet, everything went in sync with her bridal outfit. 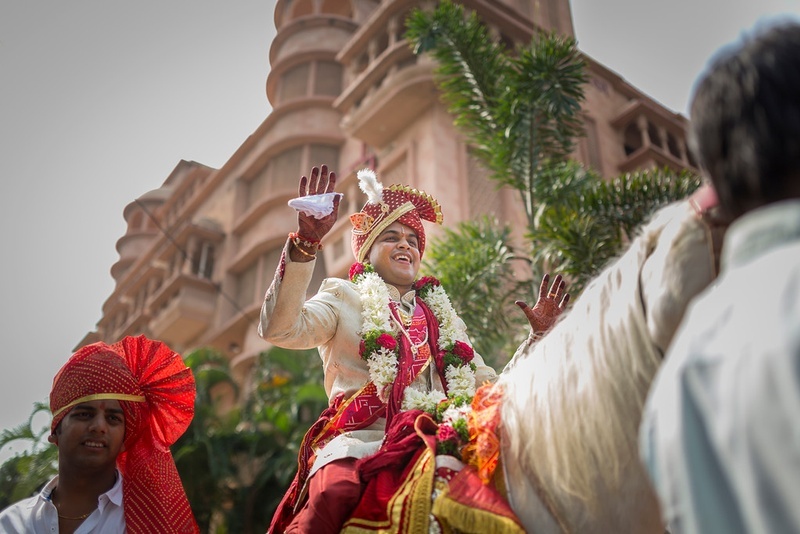 Anand too, went with a classy yet traditional groom’s attire adorning a white sherwani and a red pyjama. 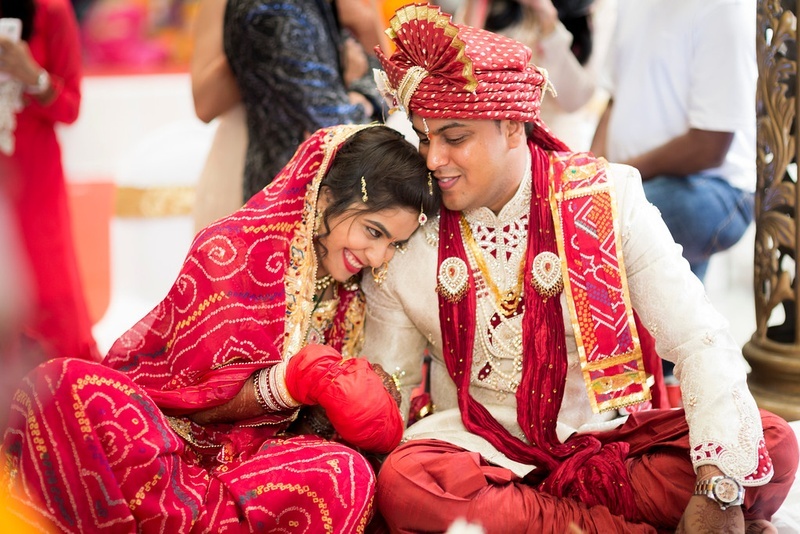 The red dupatta and the matching safa further added an ethnic touch to his entire appearance. 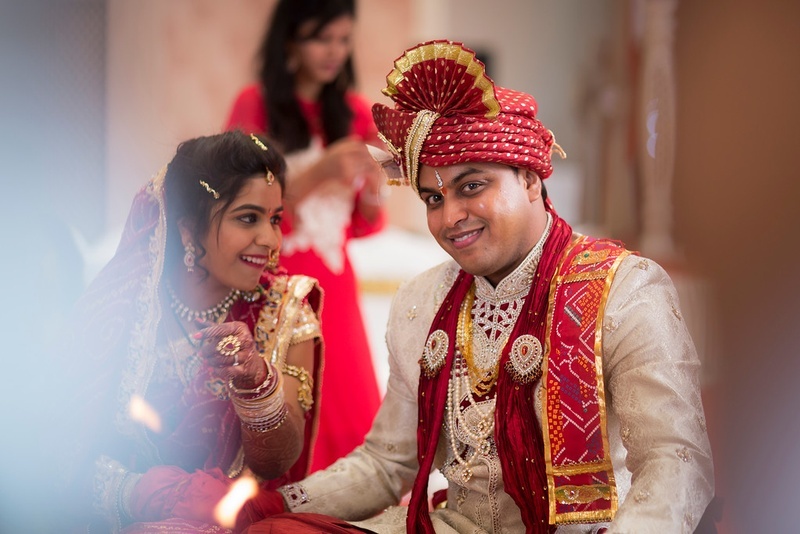 Vivek Tickoo from The Wedding Knights highlighted the creative side of his photography by capturing images that creatively captured each precious moment of this ravishing couple. 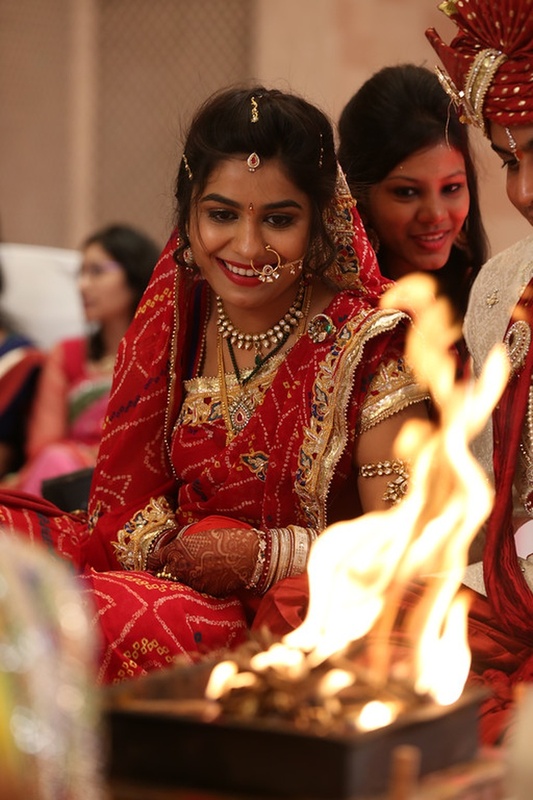 Get ready to be impressed by his amazing pictures captured at the wedding, here are some of them.